The Bach Choir Musical Director, David Hill MBE, discusses Bach’s masterpiece and its enduring appeal. St. Matthew Passion is sung by The Bach Choir every year just before Easter. 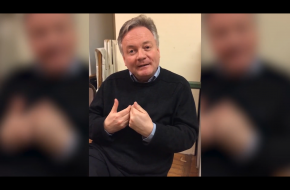 Click here to listen to David’s thoughts on the impact of the work when it’s performed in English. This season’s concert takes place on Sunday 7th April at the Royal Festival Hall. See the Concerts page for full details and ticket information.